On-site restaurants, banking, fitness club (exclusive to tenants), coffee shops, dry cleaner, variety stores, printing shop and photo shop. 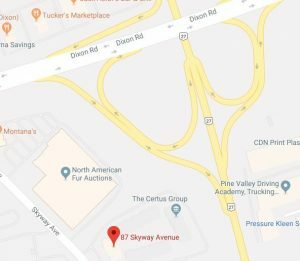 In close proximity to HIghways 403, 407, 401, 409, 410 and Queen Elizabeth Way. Fifteen minutes from Pearson International Airport. Leading edge communication cpapbilities. On-site property management. An iindoor walkway links to the Sussex to Novotel Hotel (conerence facility available), adjacent to Square One – free shuttle bus service.